ZVECAN HOME ESTATE is an affordable private estate packaged with a great concept, modern structure and all buildings available in different prototype that will suit your budget. The scheme is proposed to be developing on a site land measuring 11 hectares of land the development are in two phases. 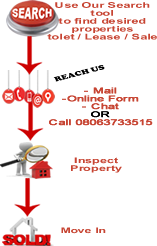 The location proximity is few minutes’ drive to Apo - Asokoro extension, less than ten minute drive to Apo Shoprite, The first phase comprising high density houses while second phase is made up low density residential building. We are selling off plan buildings and land at affordable price. Planned infrastructures and facilities will be provided by KAKARTAR GROUP AND CAT CONSTRUCTION. while electrification and street light by ITTC HUNGERIA COMPANY. Also CARCASS , SHELL UNIT AND FINISHED PRICES are affordable with flexible payment plan . This scheme has been designed with affordability in mind and zero compromised on QUALITY, COMFORT and BEAUTY . PRICE PER BLOCK & UNITS WITH COST OF LAND ONLY. 30% after 90 days of Second Payment.